Registered office: 90A Tudor Road, London E6 1DR. Community Interest Company No 8443767. Vat No 257 6833 66. Friday 23 November 2018 7-9pm: World Premiere of ‘When You See Me’ & Festival Opening This new drama (pictured), commissioned by us from our associate company Act Up! Newham, and written and directed by Trevor Lloyd, is inspired by the Circus 250 anniversary. Stratford Circus 1. Sunday 25 November 2018 1-2pm: Paracarnival Parade Fresh from winning the Judges Choice award at Hackney Carnival, Paracarnival comes to Newham with a procession of locally based Disabled artists and friends. Gallion’s Reach Shopping Park Beckton. Saturday 1 December 2018 2-5pm: ‘VIBE: The Art of Transatlantic Inclusion’ A simultaneous symposium and exhibition about our two-year tactile sound project with Concordia University, Vibrafusion Lab Ontario and Disabled artists in Montréal. Vicarage Lane Community Centre Stratford. Monday 3 December 2018 11am-1pm: Reading for Human Rights On International Day of Disabled People, join us to celebrate the 70th anniversary of the UN Declaration on Human Rights by reading from this and the UN Convention on the Rights of Disabled People at Beckton Globe Library. Easy Read, BSL and different languages texts available. The event will be live-streamed. Friday 7 (6-8pm), Saturday 8 (12-8pm) & Sunday 9 December 2018 (12-8pm): Together! 2018 Disability Film Festival Our international film festival brings together films of all budgets and genres, by Disabled filmmakers or featuring a central Disabled character. Old Town Hall Stratford. We also offer a two-day workshop for emerging Disabled filmmakers on 6 & 7 December – email info@together2012.org.uk for further details. 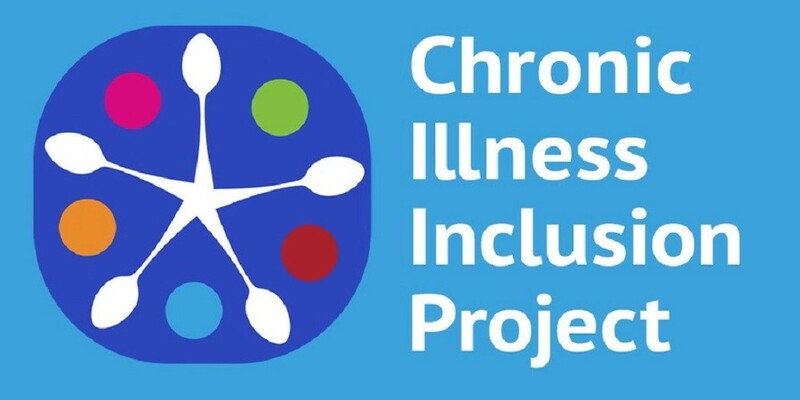 Tuesday 11 December 2018 11am-2pm: Newham Disabled Reps Forum host a musical celebration of Disability History Month, including lunch and a raffle. Speakers include Disability History Month director Richard Rieser. Vicarage Lane Community Centre Stratford. Friday 14 December 7-9pm: Together! Music Club and end-of-festival party Celebrate this year’s Disability History Month theme of music with an Open Mike night featuring Together! 2012 artists and friends, compered by Ju Gosling aka ju90. Vicarage Lane Community Centre Stratford. Plus the Together! 2018 Open Exhibition, bringing together amateur, community, emerging and mid-career Disabled artists with a local connection. Vicarage Lane Community Centre Stratford. Dates tbc. Beckton Globe Library 1 Kingsford Way, London E6 5JQ. Nearest station (accessible): Beckton (DLR). 020 3373 0853. Bus routes include: 101, 173, 262, 300, 366, 376, 474. Vicarage Lane Community Centre, Govier Close, E15 4HW. Nearest tube, overground and DLR stations: Stratford (fully accessible). Bus routes include: 101, 104, 300, 474. Street parking. Disability Labour – fit for purpose? 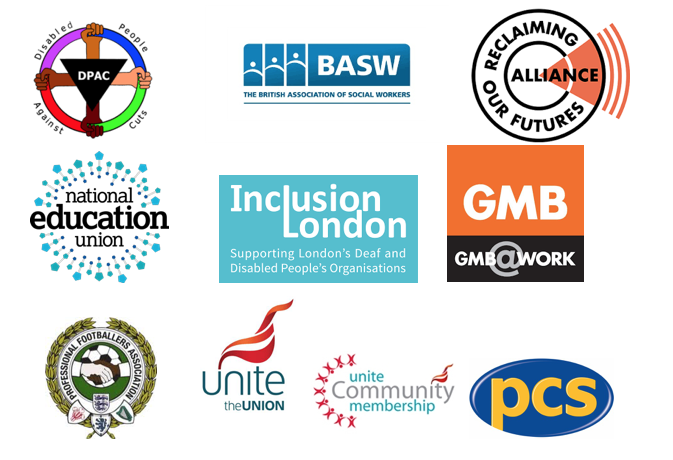 If you are a member of Disability Labour you should have had notification of their forthcoming AGM. 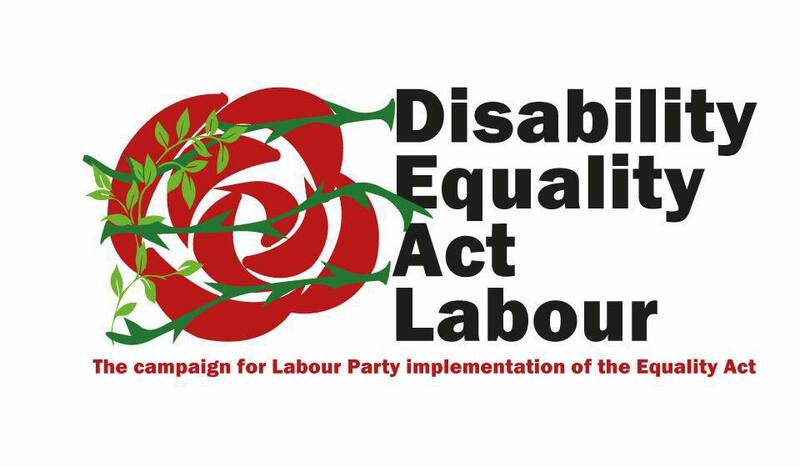 If you haven’t please let us or Disability Equality Act Labour know. She said: “There is too much introspection on the internal workings and machinations of things like constitutions [of Disability Labour] as opposed to being positive and looking at issues around policy, and frankly how we can put the Tories on the back foot on issues affecting disabled people. She said: “I don’t think the agm should take up time with motions criticising anybody’s leadership, [instead it should] elect a new set of people to get on with things. 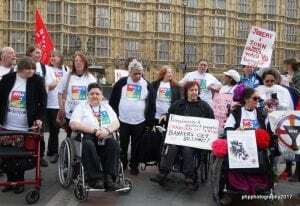 Our Festival of Resistance highlighting the hypocricy of the UK and Kenyan governments hosting a Global Disability Summit kicks off in ernest today/Saturday as our overseas activists arrive in the UK to join in with our fun. And successfully forced their government to introduce disability payments for people. Although not yet at a high enough rate to enable an adequate standard of living. Unlike the summit arranged by DfID we will not be having anyone from any large corporations hyping expensive equipment which is beyond the reach of many disabled people to fund. 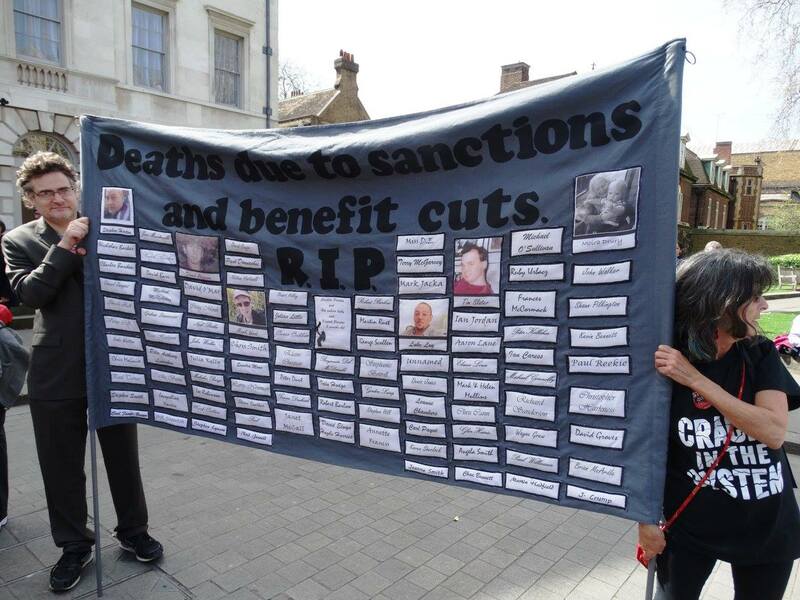 Tweet to any or all of the following saying why the UK government is unfit to host a disability summit. @IDA_Forum_CRPD gate keepers for who was allowed to come to the summit, to be kind possibly due to ignorance of the UK violation of disabled people’s rights. More to follow shortly re-tweets. And remember watch out for any surprise events happening in the very near future after all no-one ever knows quite where and when DPAC will pop up unexpectedly. The suitability of the Government of Kenya as co-hosts given their abuse of the rights of LGBTQI+ people, many of whom develop lifelong impairments as a result. LGBTQI+ people in Kenya are routinely banished from their families, denied work and accommodation, imprisoned and persecuted. They face severe barriers to forming and maintaining relationships and to living as a couple, the ‘Right to Family Life’ that every human is promised. This results in widespread damage to their mental and physical health, creating impairments where none previously existed. This is reflected in the high level of asylum applications to the UK from LGBTQI+ asylum seekers from African countries. Despite their experiences, the majority are then refused asylum in the UK and forcibly returned home, where many disappear or are murdered. Just this April, President Kenyatta said that LGBT rights are “not acceptable” and not “an issue of human rights”. The Kenyan Government has also claimed this is a non-issue for Kenyans, and no doubt would argue that it has nothing to do with the Summit. However, if you are Kenyan or Ugandan and are lesbian, gay, bisexual, trans, queer or intersex, it is an issue that completely dominates and dictates your life. For many Disabled people from Kenya, it is the reason they developed an impairment in the first place. Under the UN CRPD, the Kenyan government also has an obligation to protect the rights of disabled people who are LGBTQI+. At the People’s Assembly march in Manchester having allowed people into the official protest area at the Tory party Conference yesterday the police then proceeded to kettle them. DPAC activists then blocked a tram line in protest at what they saw as an unfair move by the scores of extra police who had been drafted into Manchester to protect the Tories. 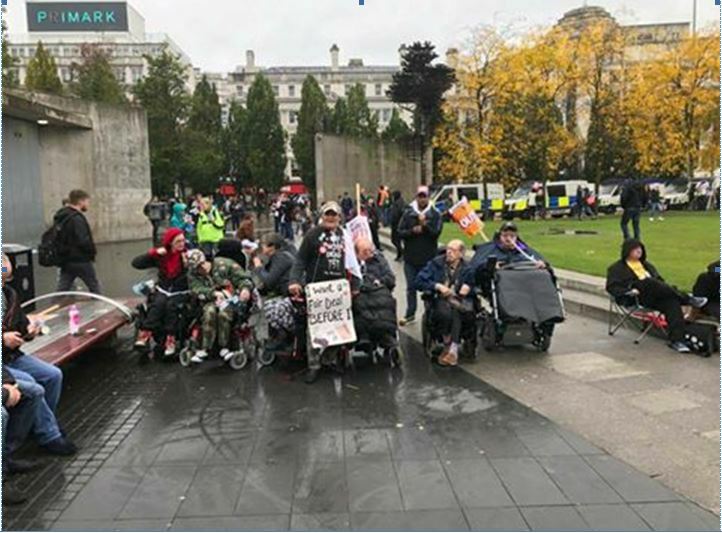 Sadly the police in Manchester reacted rather aggressively to this and 2 disabled people were arrested and a veteran activist in his 80s was left badly bruised by being man-handled by them. Another member Sharon Hooley has been cautioned by police for protesting yesterday. Rick said “Full respect and support for her brave stand in defiance of quisling security forces protecting an unlawful government.” At one stage Sharon another wheelchair user was surrounded by 13 police officers. Do you want to share and develop your skills around organising with other disabled people in your area? 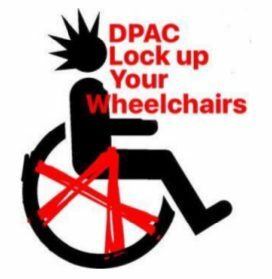 If you’re interested then come and join DPAC Disabled People Against Cutson the ‘Lock Up Your Wheelchairs Tour’ in Leeds and other venues around the country. 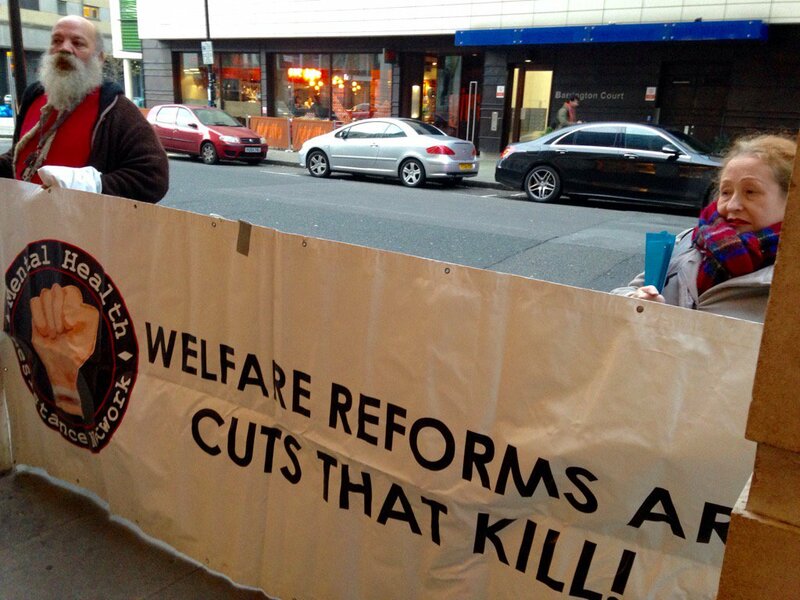 DPAC has been at the fore-front of street resistance to austerity since their formation in 2010. Disabled people have led the fight against welfare reforms. Remploy closure, closure of the Independent Living Fund, Atos, Maximus and many, many more issues. Now DPAC are undertaking a visit to places around the country to hear from local people what the issues and campaign priorities are locally; and to work with local disabled people and their allies in sharing and developing campaign skills. To address these the one-day workshops will cover areas such as:Planning & carrying out Direct Action which is inclusive & accessible for all. that we can use for a whole day – for free? iv) can you contact them with a view to getting a date and/or ? local allies. Local activist groups, i.e. Antifa etc, BSL interpreters, PAs. A poster with all dates confirmed and venues will be released soon. Thanks to everyone who contacted us about this possible challenge. The solicitors have spoken initially to a number of people and are now able to try to seek a barrister’s opinion. If you haven’t been contacted yet then it may be after that opinion is available that you may be for witness statements to add to the case. We’ll keep everyone informed of what’s happening as soon as we can. 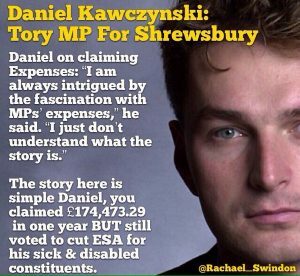 Stephen Duckworth – should he have another honour for his work with lots of nasties? A brief look at Stephen Duckworth’s career. He’s being nominated for another honour and details of where to send any recommendations re-Stephen’s honour are at the end of this outline of his work with New Deal for disabled people, Serco, Capita and now the Shaw Trust. He is also an advisor for the new Work and Health unit. Please feel free to respond as you see fit. Results orientated and innovative strategic thinker with sound independent judgement. Leader with exceptional interpersonal skills combined with the ability and a willingness to influence, challenge and probe. Keen analytical mind that revels in new concepts. Strong national and international connections with the UN, WHO, International Labour Organisation, World Bank and International Disability Alliance. Personal values driven by integrity and ethical standards combined with a strong sense of fun. 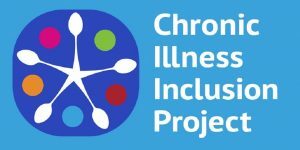 2015 – Shaw Trust: Chair, Programme Board – Rehabilitation International Global Congress on Disability and Inclusion, Edinburgh 2016. This attracted over 1000 people from 68 countries with 200 speakers and 7 Ministers. Currently working with Ministers in China and India having previously developed a new approach to disruptive innovation that has now become known as frugal innovation allowing ideas from low income countries to be adopted by higher income countries. 2012–2012 Strategic Development Director – responsible for the company’s relationship with the Heart of Government. 2011-2012 Director, Serco Institute that aims to foster the development of sustainable public service markets through an outward-facing programme of research and communication. 2010-2011 Strategic Development Director, Serco Welfare to Work, supporting a 45 strong business development team to secure £210 million of business (Work Programme) to help disadvantaged people return to work. 2009-2010 Director West Midlands Flexible New Deal, Welfare to Work. 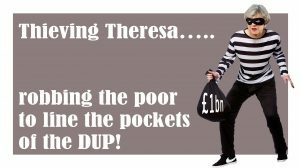 Responsible for £20 million annual contract supporting over 5,000 long-term unemployed jobseekers to return to sustainable employment. Board Member Olympic Delivery Authority £9.2 billion budget Board Champion for Equality and Diversity, Chair Health, Safety and Environment Committee (2006 – 2012). Board Member National Quality Board Chaired by David Nicholson DoH (2009 – 2010). 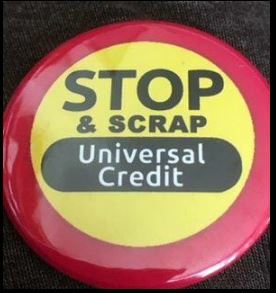 Adviser to the Secretary of the State, Minister for Welfare Reform and Minister for Disabled People (2005-7) to initiate the restructuring of the employment service provision for disabled people. NED – Route2Mobility Ltd a FSA regulated company providing ethical finance to disabled customers (2003 -2009). 1999-2004 Initiated and designed and Award Winning New Deal for Disabled People return to work programme – The Gateway Partnership and developed a Project Lead Recruitment Process in partnership with the Employers Forum on Disability and Centrica. Continue to lead organic growth to establish a business with a turnover in excess of £2 million. You may know Stephen Duckworth quite well or may have only met him once. 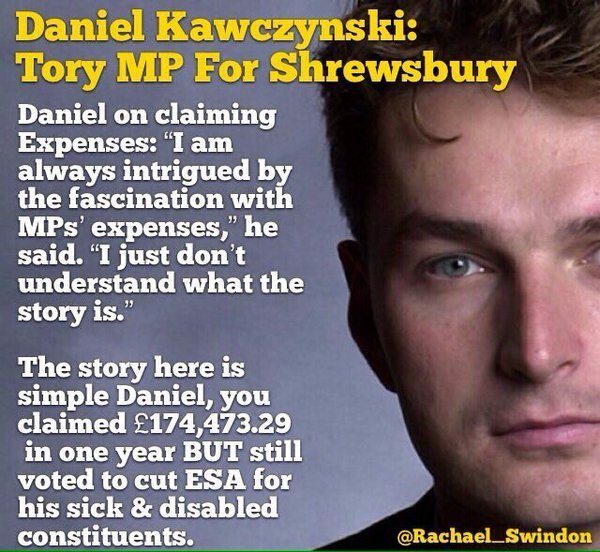 More about his background is in the attached CV – the incredible thing is that he broke his neck in a rugby accident aged 21 and is more or less completely paralysed. I have been commissioned to gather supporting evidence about his suitability for a higher Honour’s Award. In 1994 at 34 years of age he became an Officer of the Order of the British Empire and was presented with his OBE by the Queen. Subject to other information gathered he will be considered for a CBE or Knighthood. I am attaching the template for a letter of support that should make your life much easier to complete and send back to me as an attachment to an email. I hope you won’t mind spending a few minutes to do this over the festive season. The awards process generally takes 12-18 months so I would appreciate you replying as soon as possible. I have been advised that he recently organised an International World Conference on disability and rehabilitation and is hoping to be supporting projects in China, India and Africa over the next few years. If you feel he deserves the higher award then I would be grateful if you could emphasise his national and international activities as this will prove to be very helpful. Many thanks indeed in anticipation of a positive response. I hope that you will be able to get back to me early in the New Year or at the very latest by the end of January 2017.